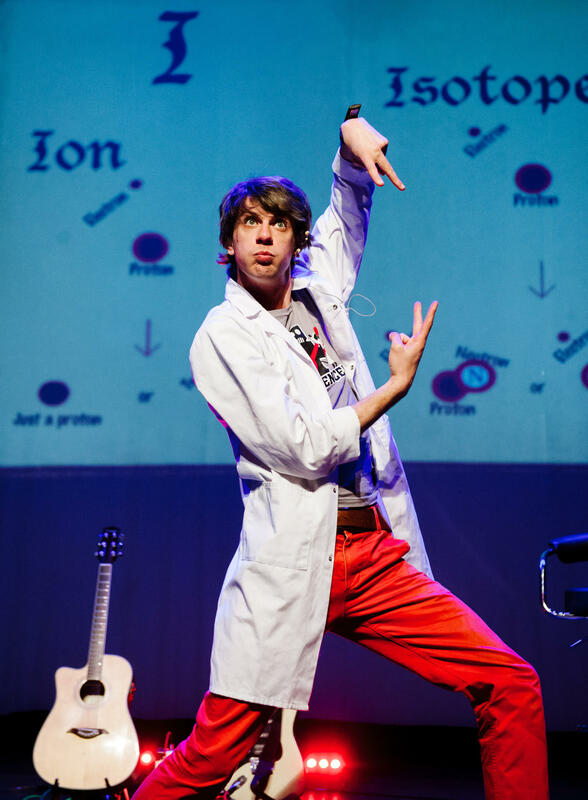 Ensonglopedia of Science is a music/theatre/science show to delight the inquisitive mind. Expect atoms, black holes, cells, DNA and everything in between. Expect folk, gospel, hip-hop, interpretative dance, jive and klezmer. In fact, expect the alphabet to feature quite prominently. Above all, expect the unexpected. And expect it to rhyme.